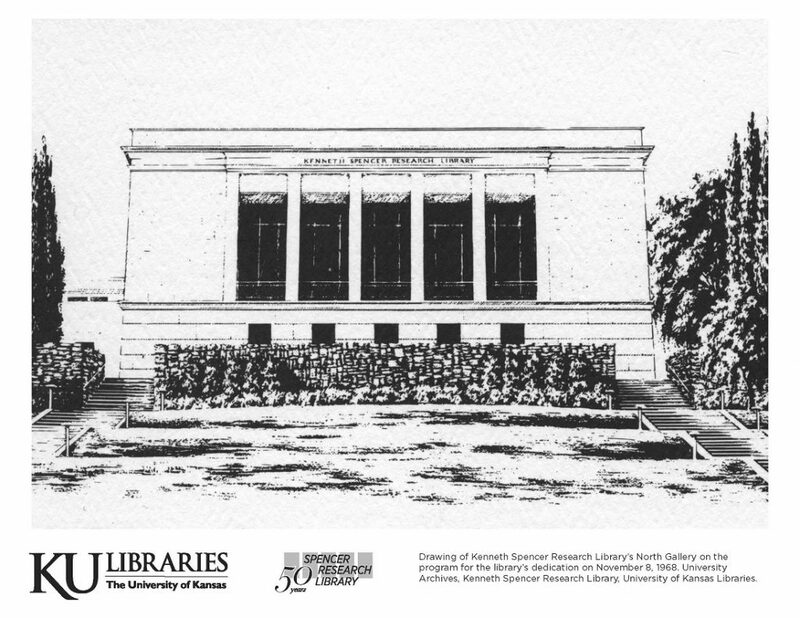 Among the personal papers of faculty, staff, and students contained in Kenneth Spencer Research Library’s University Archives are materials connected to the life of KU Professor Edwin Mortimer Hopkins (1862-1946). 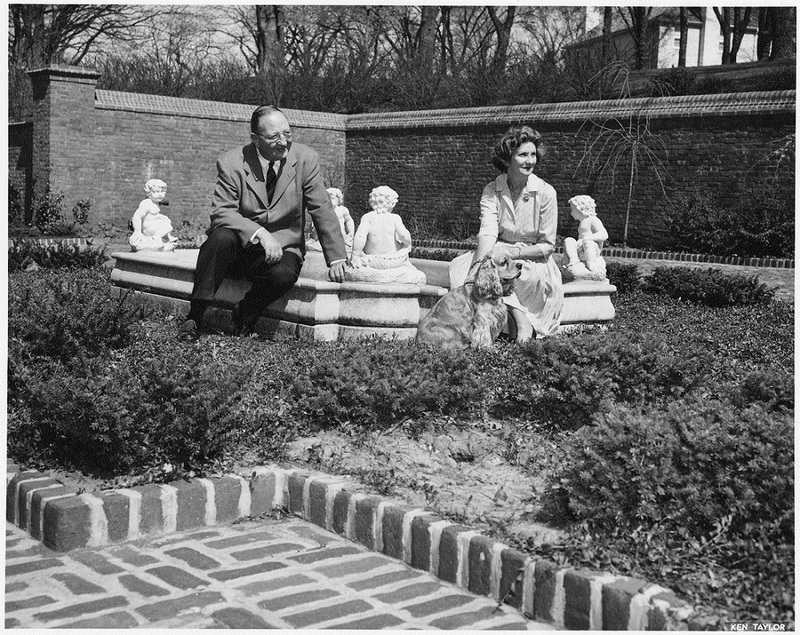 These materials include photographs, his personal diaries (which span sixty-five years), three paintings, and much more. 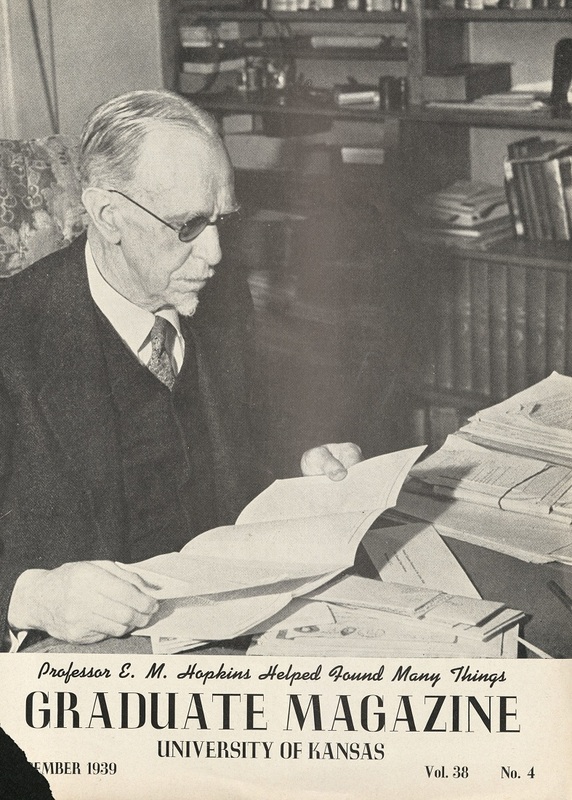 Hopkins taught at the University of Kansas for his entire career, beginning in 1889 and ending with his retirement in 1937. Two portraits of Edwin M. Hopkins, undated. University Archives Photos. Call Number: RG 41/ Faculty: Hopkins, Edwin M. (Photos). Click images to enlarge. 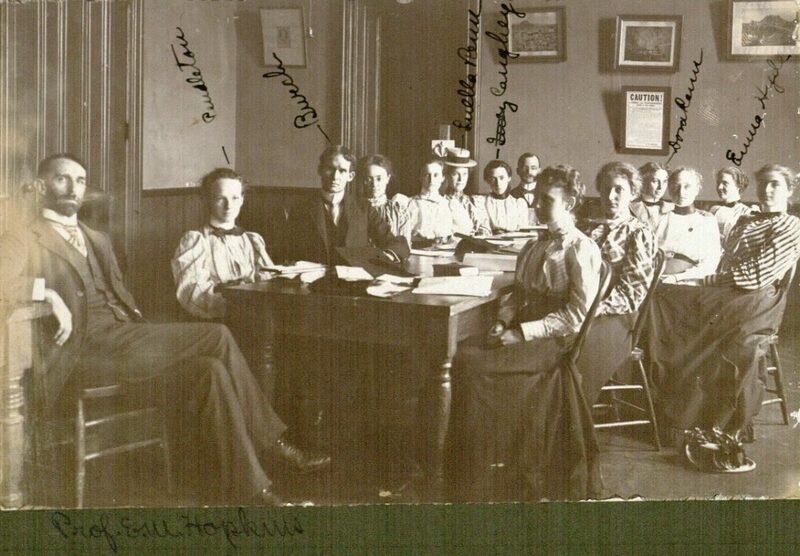 A KU classroom, 1890s. Hopkins is pictured on the far left. University Archives Photos. Department of English (Photos). Click image to enlarge. Hopkins is an important figure in the field of rhetoric and composition. 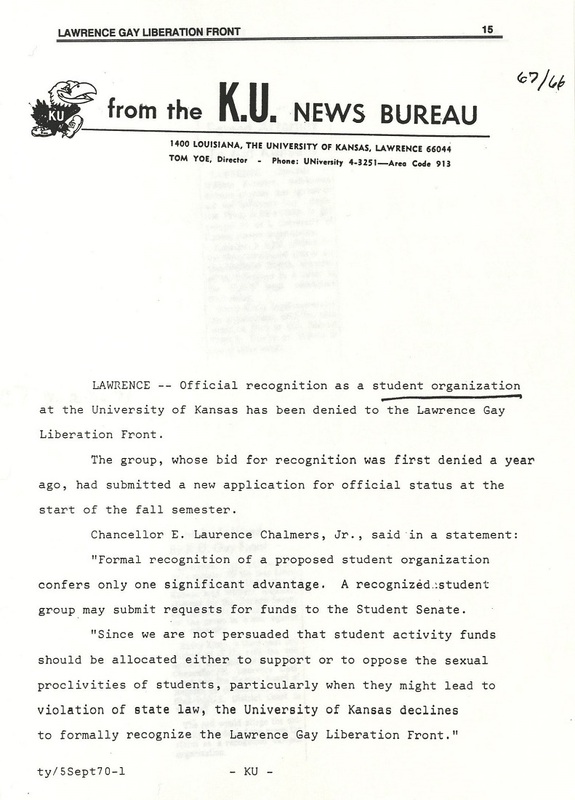 He was a founding member and early president of the National Council of Teachers of English, as well as a founder of the Kansas Association of Teachers of English. 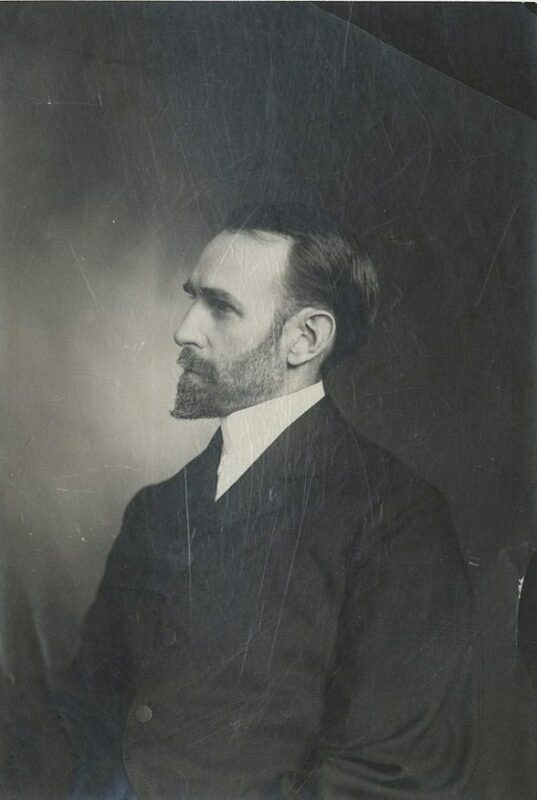 At KU, Hopkins was the head of the English Department from 1902 to 1909. Biographical File, Edwin M. Hopkins. Click image to enlarge. 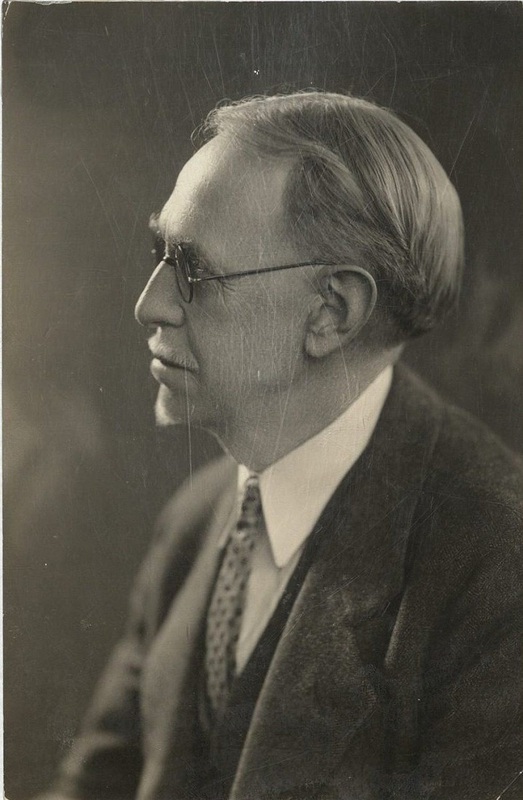 Hopkins is likewise often cited for his labor activism, as he advocated throughout his career for fair teaching loads and working conditions for writing teachers. 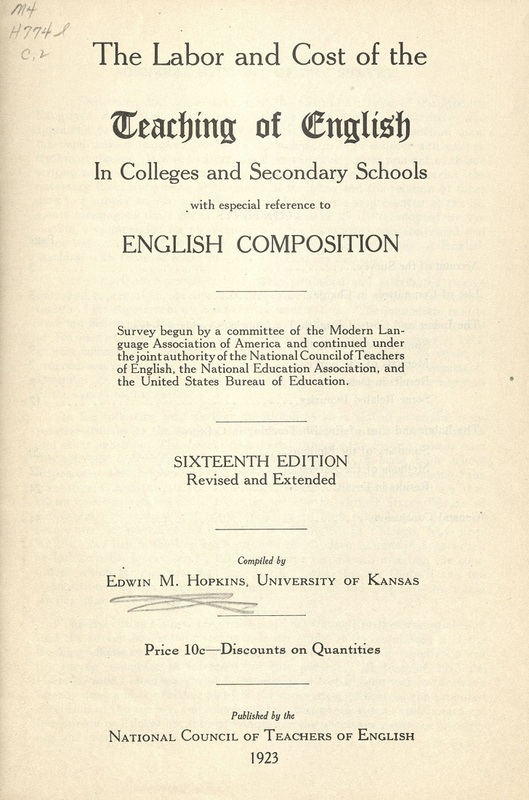 His empirical study, The Labor and Cost of the Teaching of English in College and Secondary Schools with Especial Reference to English Composition — which scholar Randall Popken calls the “first of its kind in composition history” — was the result of fifteen years of survey-taking and data interpretation (Popken, “The WPA,” pages 7-11). RG 41/ Faculty publications: Hopkins, Edwin M. Click image to enlarge. 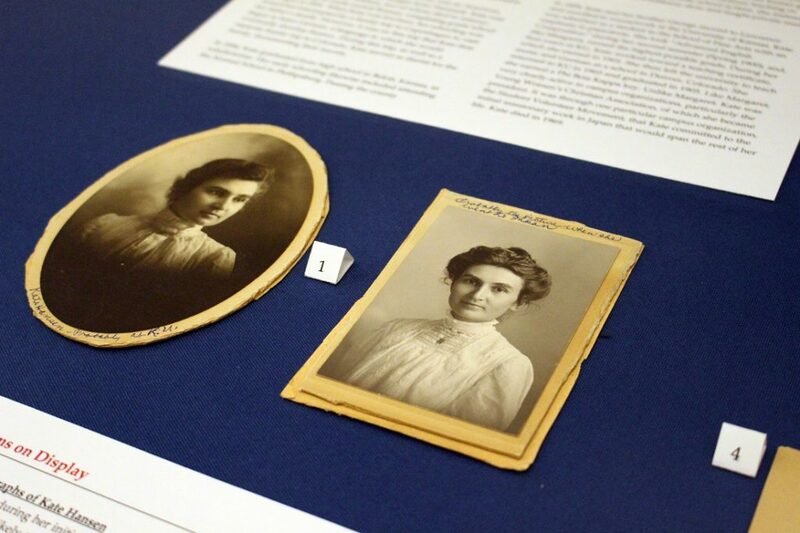 Hopkins’ contributions to KU and higher education were not confined to the classroom alone. Hopkins’ personal diaries, which span from 1873 to 1939, help document his highly busy and productive career. 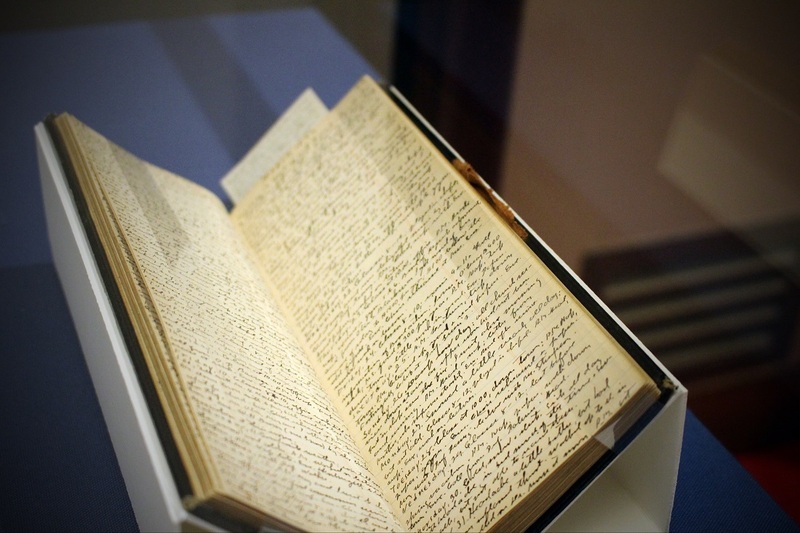 For instance, Hopkins frequently recorded playing the organ for the university chapel within his diary entries. “Writing within Required Genres” exhibit. Call Number: PP 73. Click image to enlarge. 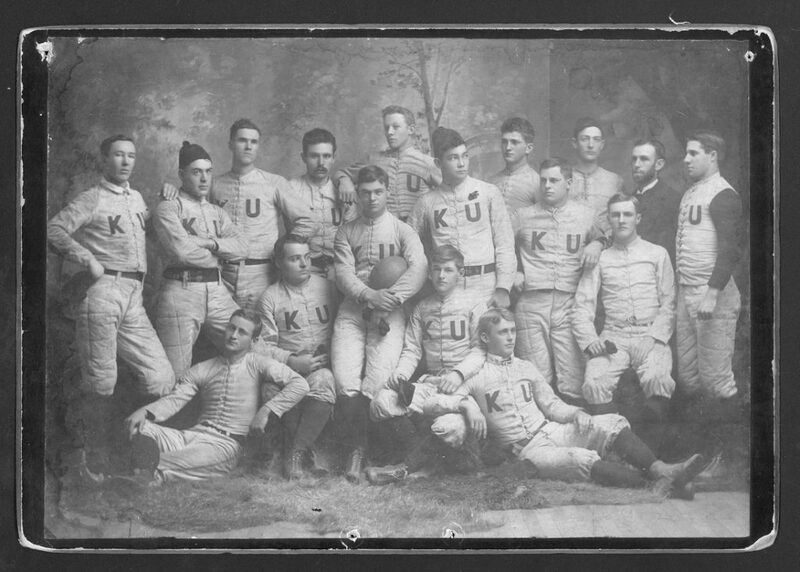 Hopkins also served as KU’s first football coach in 1891. Though he had never played football himself (but had seen it played in the East), he led KU to an undefeated season. Team Prints: Athletic Department: Football (Photos). Click image to enlarge. Hopkins also helped found numerous other KU organizations, including the University Daily Kansan student newspaper, the Department of Journalism, and the University’s first literary society, the Quill Club. cover photo and story on Hopkins. 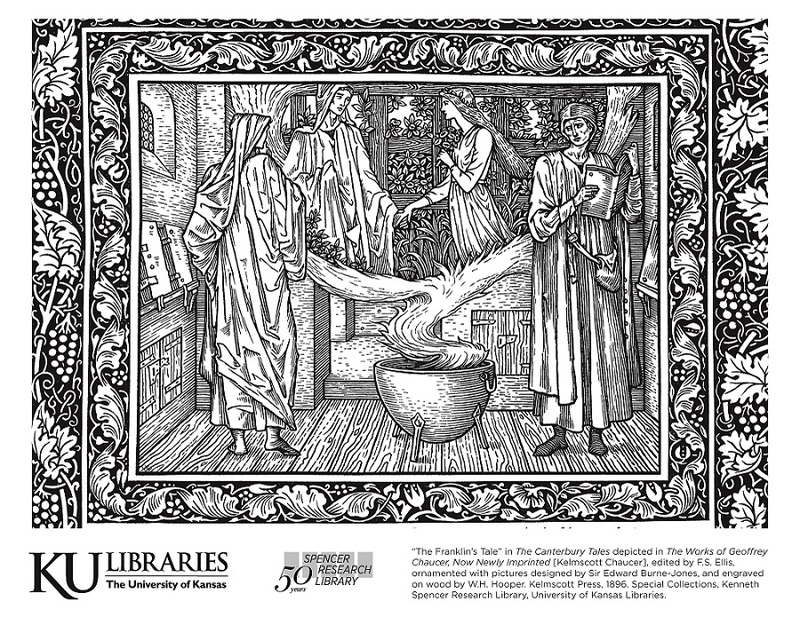 University Archives. Call Number: LH 1 .K3 G73 1939. Click image to enlarge. 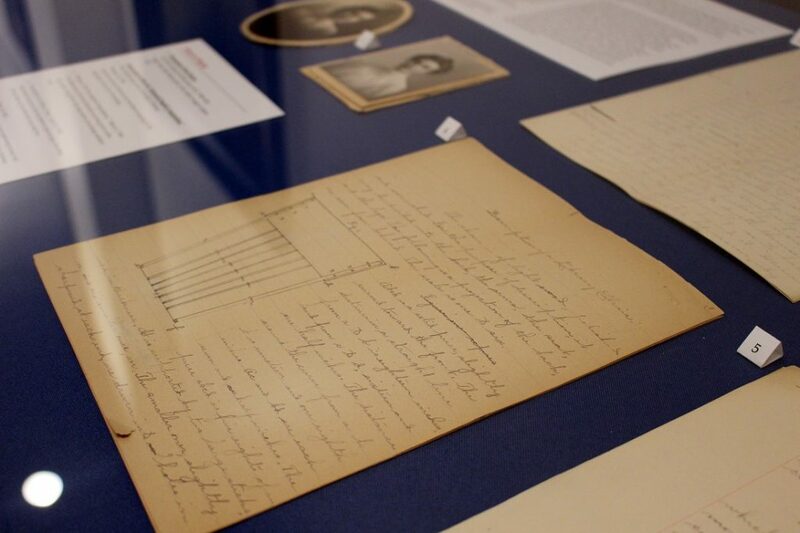 Be sure to stop by Spencer Research Library to view the exhibit showcasing the writings of Hopkins’ students, Margaret Kane and Kate Hansen, from their 1899 and 1900 composition courses! 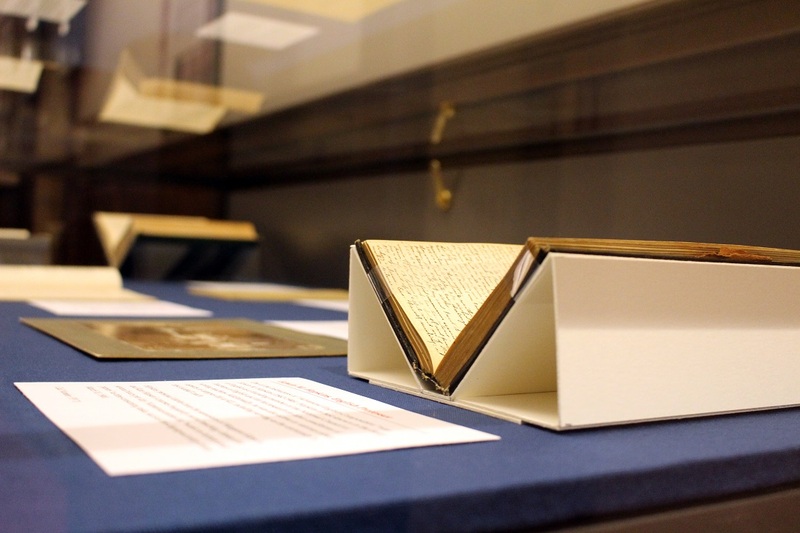 It is on display at the two entrances to Spencer Research Library’s North Gallery until the end of January 2019. Popken, Randall. “Edwin Hopkins and the Costly Labor of Composition Teaching.” College Composition and Communication, vol. 55, no.4, 2004, pp. 618-641. Popken, Randall. 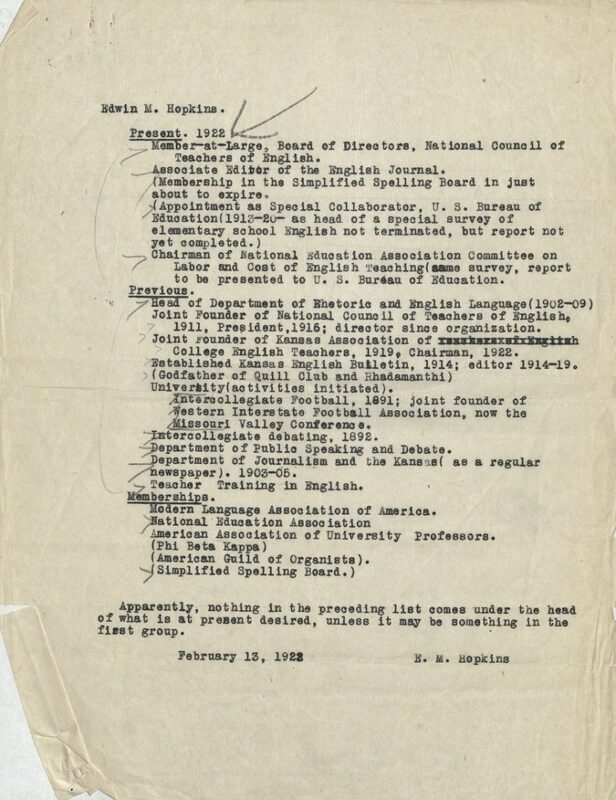 “The WPA as Publishing Scholar: Edwin Hopkins and the Labor and Cost of the Teaching of English.” Historical Studies of Writing Program Administration: Individuals, Communities, and the Formation of a Discipline. Edited by Barbara L’Eplattenier and Lisa Mistrangelo, 2004, pp. 5-22. 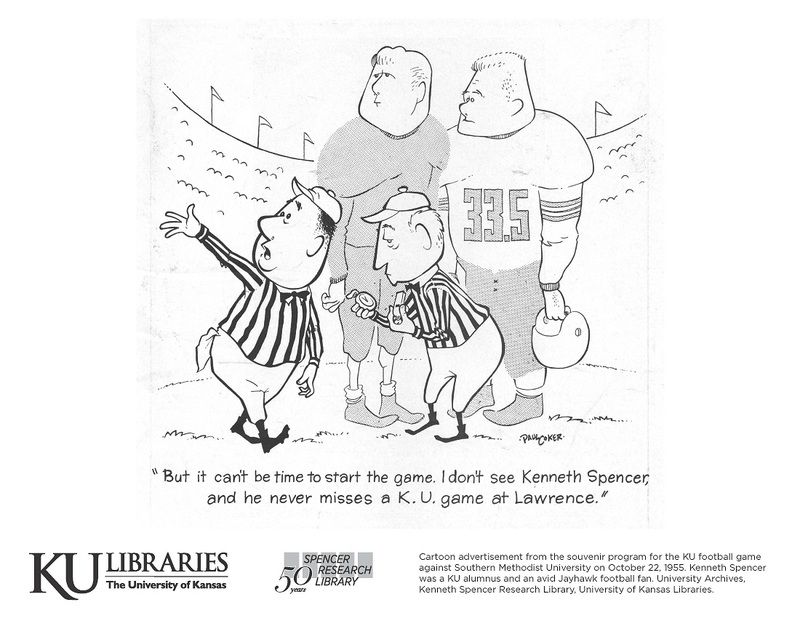 KU Libraries Call Number: PE1405.U6 H55 2004. 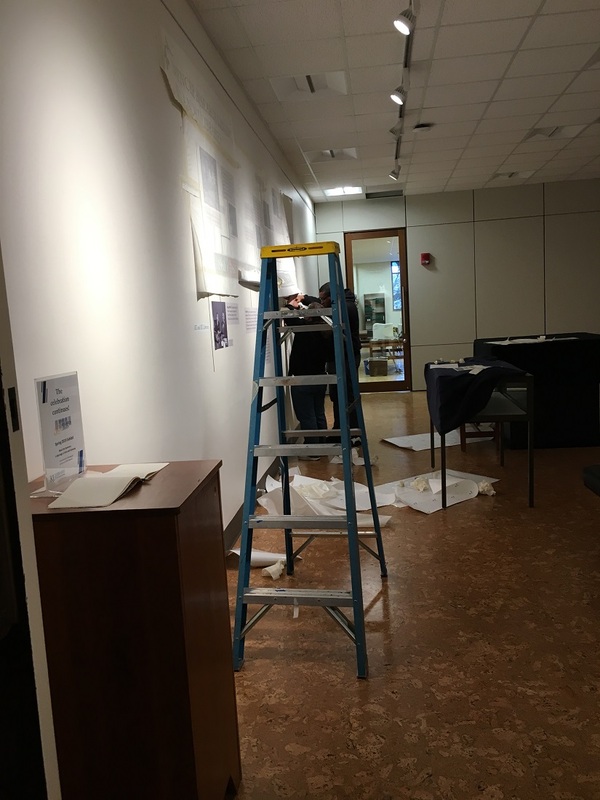 A new temporary exhibit is currently on display at the entrances to the North Gallery at Kenneth Spencer Research Library. 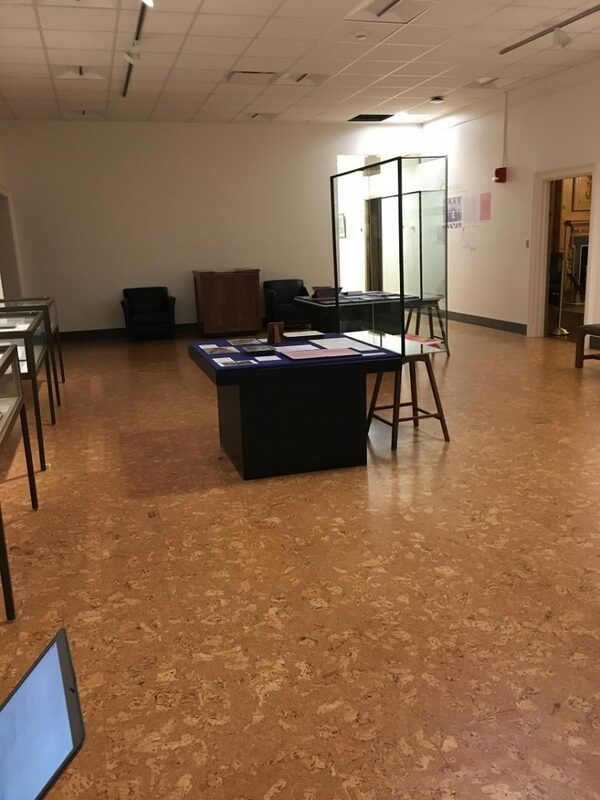 This exhibit is titled “Writing within Required Genres: Women Students’ Writings in KU’s Department of English, 1899-1900” and showcases many of the materials that serve as the basis of my dissertation work in the Department of English’s Rhetoric and Composition Ph.D. program. The temporary exhibit case on the east side of Spencer’s North Gallery. This exhibit provides information about the Department of English, its teachers, and this particular course. Moreover, it showcases the importance of examining the writings of individual students and their unique responses to the writing instruction they received. 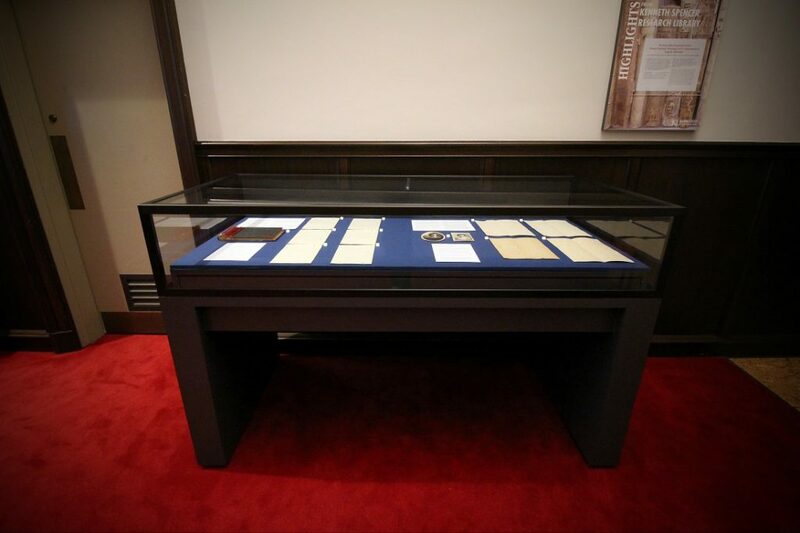 Exhibit Case 1 is located at the west entrance to the North Gallery. It contains materials that help contextualize “Advanced English Composition” and the student writings produced for it. Included are course catalogues, photographs, English Department publications, and more. Margaret Kane and Kate Hansen. Click image to enlarge. Edwin M. Hopkins. Call Number: PP 73. Click image to enlarge. 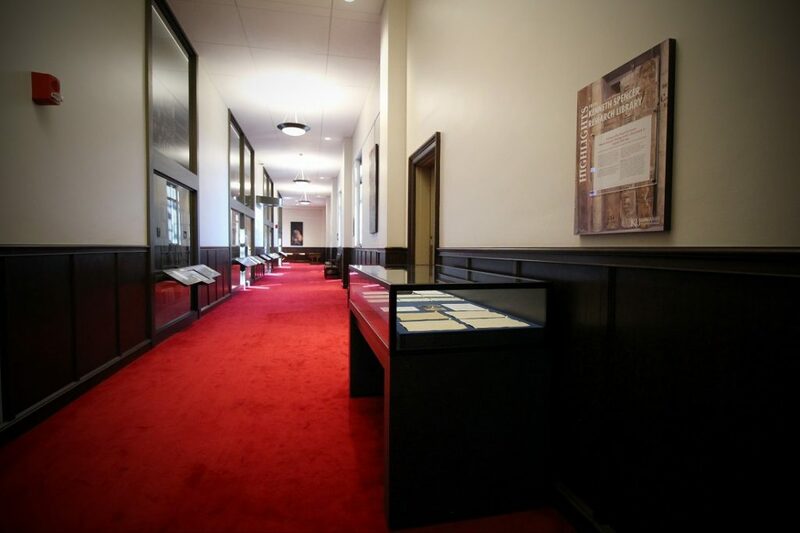 Exhibit Case 2 is located at the east entrance to the North Gallery. 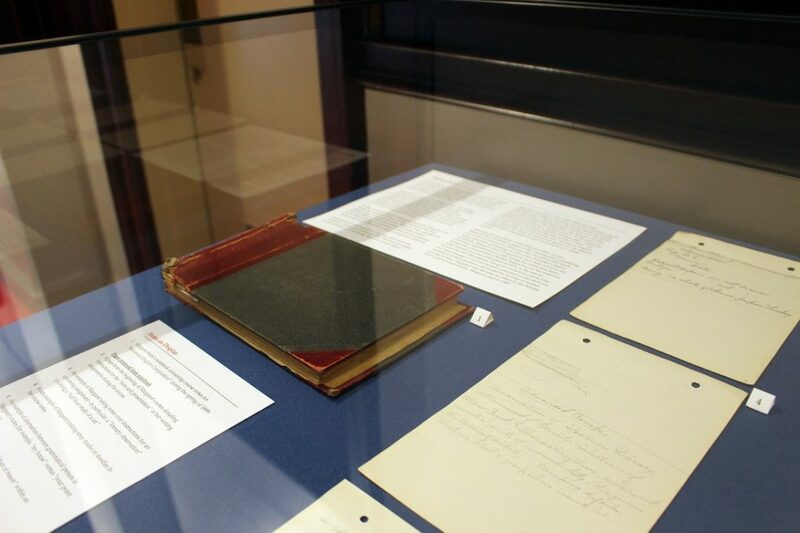 It contains the actual writings produced by two women students for “Advanced English Composition”: the 1899 course notes of Margaret Kane (PP 23) and the 1900 course papers of Kate Hansen (PP 19). These texts were required for the successful completion of their courses. They show instances of Margaret and Kate writing within, pushing against, and even occasionally even moving beyond the expectations of these genres. These writings stress the importance of viewing students—those in the past and in the present—as unique individuals, not a homogeneous group. Margaret Kane and features her notebook and course notes. Call Number: PP 23. Click image to enlarge. shortly after her time at KU. Call Number: PP 19. Click image to enlarge. “Description of a Library Chair.” Call Number: PP 19. Click image to enlarge. Curating this exhibit has been a joy. It has provided an opportunity to share my research with a more public audience, a feature that dissertations and the academic publications that stem from them too often lack. 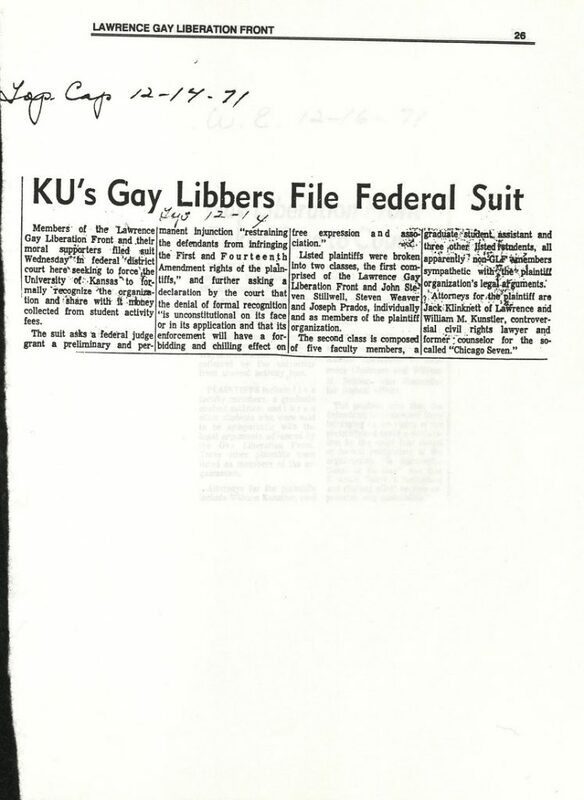 I’m extremely grateful to the staff at Kenneth Spencer Research Library—particularly those in public services, conservation, and University Archives—for assisting me with this process.